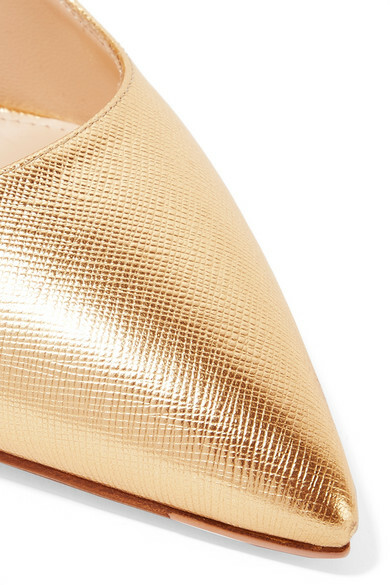 Metallic accessories are the easiest way to elevate any outfit. 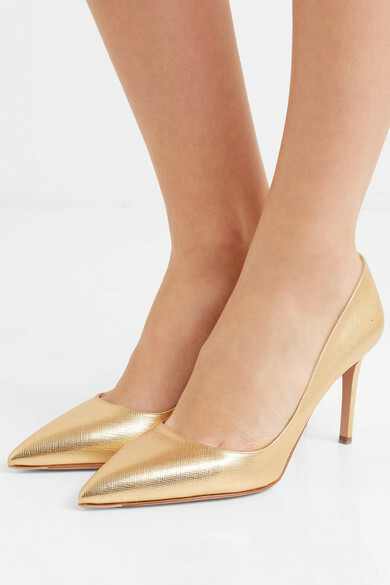 Prada's pumps are crafted from the label's signature 'Saffiano' leather and have a sleek pointed toe that makes legs appear longer and leaner. They're set on a slim 85mm heel for night-long comfort. Wear yours with everything from tailored shorts to evening gowns. Shown here with: Prada Shorts, Prada Blouse, Prada Shoulder bag.